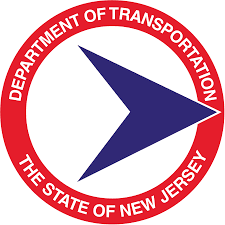 (Trenton) – The New Jersey Department of Transportation and the New Jersey Turnpike Authority are advancing more than $1.1 billion in construction contracts for 2019, delivering smoother trips for New Jersey’s motorists and a robust investment for the Garden State’s economy. Route 80 from Fox Hill Road to Route 46 and from County Route 57 to I-95 – major repaving project (Bergen and Morris Counties). Route 35 from Holmdel Road to Route 9 – major pavement project (Middlesex and Monmouth Counties). Route 55 from Leaming Mill Road to Ellis Mill Road – major repaving project (Cumberland, Salem and Gloucester Counties). Both the Parkway and the Turnpike will get 25 new variable message signs providing motorists with more real-time reports about accidents, inclement weather and other situations, so they can make travel choices.